This feature allows users to unlock their phones quickly - by simply raising the smartphone in front of them. With the Face ID Access, users will no longer have to memorize passwords or patterns to open their Y69. Y69 users will enjoy these perks right at their fingertips by simply updating their Funtouch OS system to the latest version. 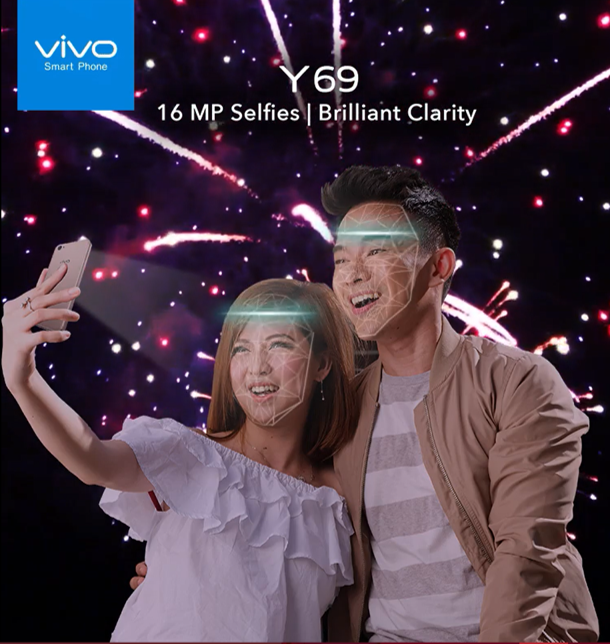 Vivo, which is known for its selfie-centric revolutions, ensures that their phones are not only hip but also reliable. The Y69 models run on powerful processors to prevent bugs. The Y69, meanwhile, is powered by the MediaTek MT6750 with 3GB RAM and 32GB ROM. It can be support microSD Card up to 256GB.